Are you or the man in your life into the vintage look? 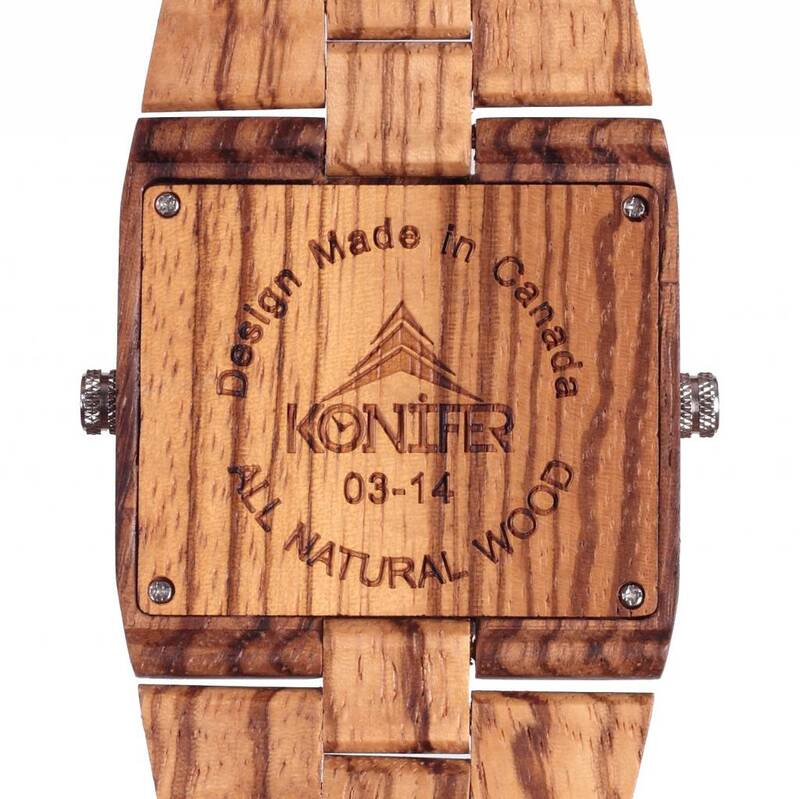 Our Bahamas watch is the perfect blend of the old school and the new – wrapped in an eco-friendly, wood texture that’s thoroughly modern and eye-catching. If a striking time piece is what you’re after, look no further. 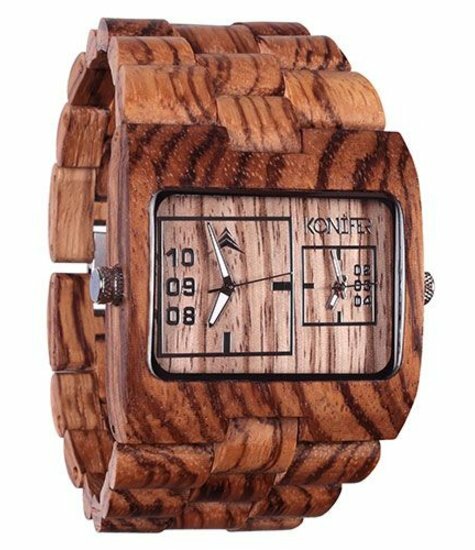 This wooden watch hearkens back to the bulky, square-faced statement watches of the ‘80s with its square, dual dial and its chunky link wristband. 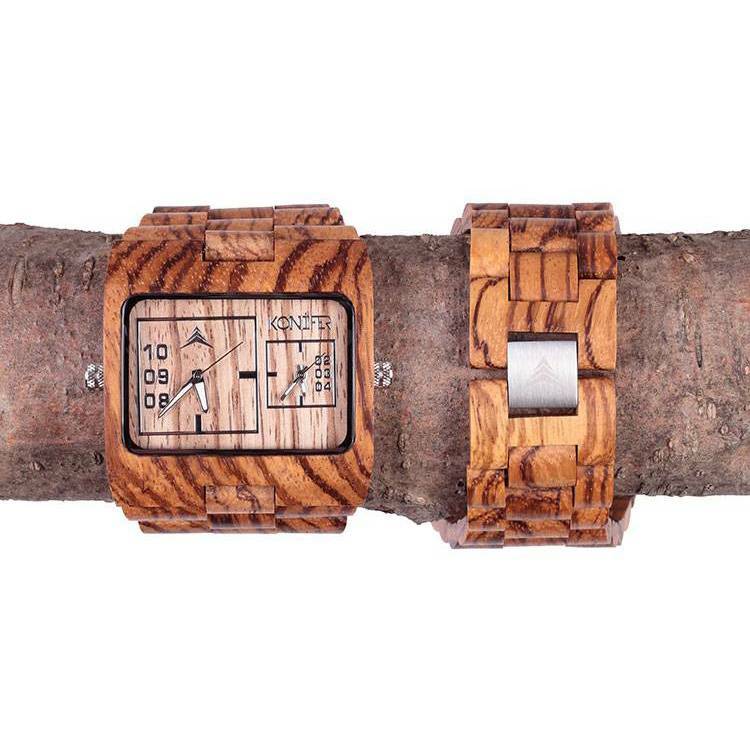 But make no mistake, this isn’t your dad’s watch. 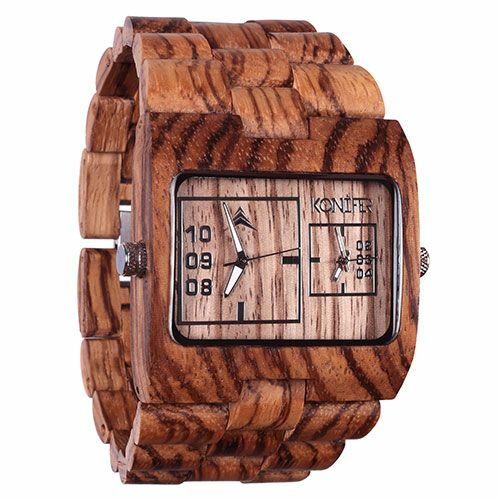 Instead of the stainless steel of the past, you’ll find that this attractive timepiece is authentically handcrafted of striated, central African wood, smoothly finished and polished with oil making it both safe and attractive. 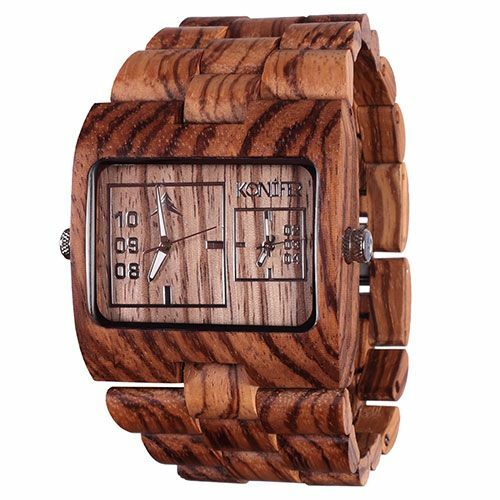 Slide a Bahamas wood watch on and notice the envious looks you will get!